Update: it appears the code on OnePlus 6 (8+128GB) has expired. You can still get it for $424.99 OR get $50 off on the very latest OnePlus 6T! We have seen OnePlus 6 being offered for as low as $390 but as reported earlier Gearbest is going all out this year, pushing the price further down to $375.99! Since 11.11 promos, we have seen some amazing discounts being offered on OnePlus 6. This Android powerhouse remains our favorite smartphone for not only offering brilliant camera results and strong performance but also for managing to offer such a smooth software experience that we believe Samsung needs to buy a few pieces to learn how to do Android skins the right way. OnePlus is one of the very few Android phone makers offering timely security and software updates. But hardware, software brilliance aside, OnePlus 6 is also the last device from the firm to flaunt an audio jack. 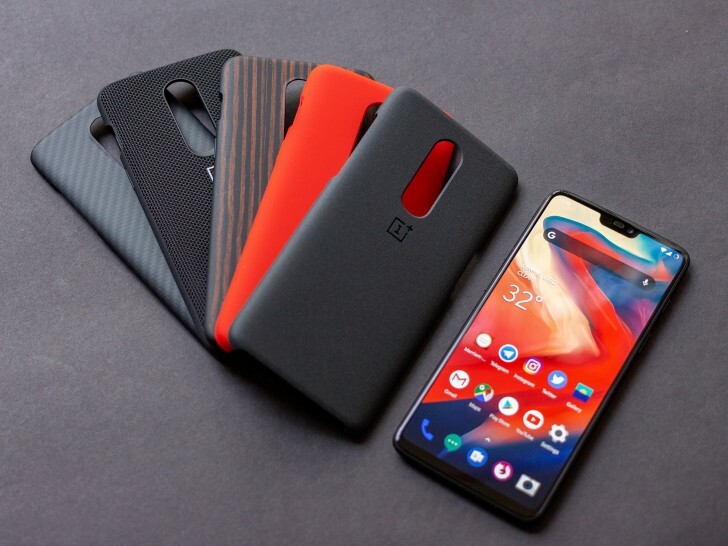 Perhaps not a big issue for many, but if you are someone who hates dongles, now is the time to get yourself OnePlus 6 and at least avoid these dongles for the next 3 years (we don’t believe if phones need to be changed every single year). Hopefully, by then these phone makers would have fixed this cable/dongle issue. It seems like Gearbest is trying to clear its OP6 stocks this Black Friday, slashing the prices further down! Black Friday 2018 brings the hottest discount we have ever seen on OnePlus 6. The latest code brings the price down to $375 but make sure you act fast as we aren’t sure how many units can avail this fresh code. Add code GBMPBF8 in the lower-left corner to bring the price down. Note: If the above code doesn’t work, use GBMPBF4 and it will bring the price down to $379.99. It appears the coupon code GBMPBF5 that brought the price down to $429.99 has expired. BUT, when we added the product to the cart and hit the “Proceed to Check out” button, it brought the price down to $424.99 without any codes! We aren’t sure if this is a system glitch but at least one of our readers has already managed to get OnePlus 6 (128GB) for $424.99, which is the lowest price we have seen for this variant. [Update 2] Okay folks, this appears to be the BEST deal we have seen this entire holiday season so far! OnePlus 6 (8+128GB) is down to $399.99 with code GBMPBF16. Gearbest says it’s right at the end of its OP6 stock clearance but let’s hope most of you can avail this code to get your hands on this absolutely gorgeous phone. Add code GBMPBF16 in the lower-left corner to bring the price down.